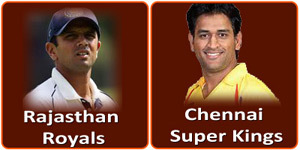 Rajasthan Royals vs Chennai Super Kings on 12 May 2013 : Astrology Prediction! The match will begin at 16:00 on Ranchi ground. 1st team is RR and second is CSK. I have used KP System Numerology which takes only the numbers of the signs into the account of the ruling planets and omit the signs whose Lord is retrograde. My favorite is RR. The resultant remaining after calculation is 1 and so RR (my favorite) should win. 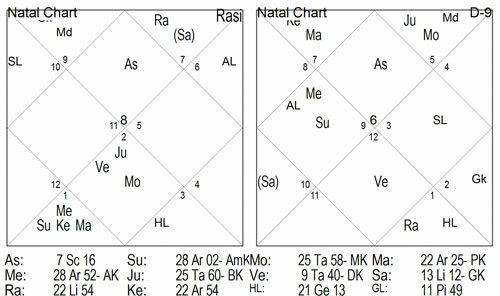 Sir Natal Chart of both the matches i.e. KKR vs RCB and RR vs CSK are same as well as the numbers are also same and the second match is not in ranchi u wrote ranchi dere.......plz check and rectify if any error is there....!